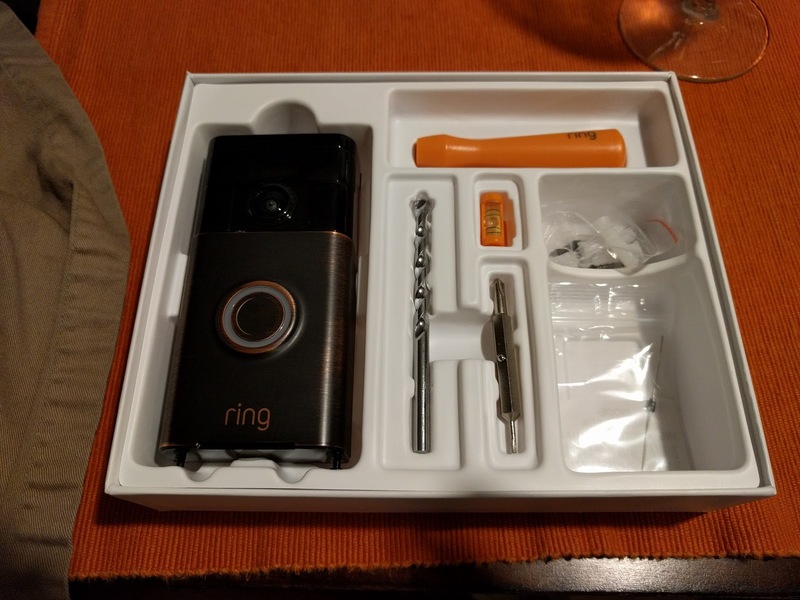 This is a long-term review for the original Ring doorbell. 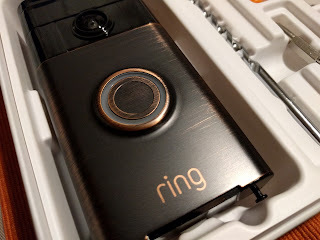 (not the new Pro one) Ring has been around for some time now, as have other connected doorbells like August and Skybell. The greatest benefit for these doorbells is the ability to check who has been near your home even when you're not at home. A connected doorbell has been such a great addition to my gradual goal of a practical smart home. There is a point where connected devices aren't the best option. Overcomplicating simple tasks and merely going with an app-based appliance isn't exactly the smartest route to go. One thing to watch out for is local/offline functionality. What sort of functions will still work if connection to your router, or the internet get cut off? These are things that need to be considered before venturing into purchasing a connected device. The Ring comes with everything you need to replace your regular doorbell. A mounting plate, screwdriver, level, screws for wood and concrete, and a diode if you have a digital doorbell. Now, that being said, the original Ring has an advantage over the new Ring Pro, a built-in battery. Why is this important? For apartment/condo owners that aren't allowed to do any drilling or exterior rewiring, the battery-mode of the original Ring can operate purely on battery mode. You will lose the Live-View function however, but everything else will work. The Ring also features motion-detection which triggers the camera & app alert before the button is even pressed. This is handy for observing packages being dropped off, or even people just loitering around your property. The Ring and Ring Pro work on different systems. The Ring works on a PIR system (Passive Infrared) that detects body heat, while the Ring Pro works on pixel-changing. Both have their advantages, YMMV, but I feel like the PIR system works much better than the newer pixel-tracking. Pixel tracking works similar to Nest's system as well. The camera checks the image for changes in pixels and determines when movement is enough for an alert. It may trigger fewer false alerts, but it has a tendency to be less sensitive than the 'dumber' PIR system. Again, depending on the location of installation, the PIR system works better for me. Nest's active zone based system didn't work as well as Ring's PIR for me. Others may have better luck and not because of any real problems with the technology, but more because of the scenario that the technology has to function in. I do love the Nest cam, but I wasn't sold on their subscription service. Their motion detection is also far slower than Ring's in my particular situation. Now, the Ring comes with the optional cloud recording subscription. It costs $3/month or $30/year per device. I personally think it's worth it since it could potentially be evidence should a crime be committed. I'd like to see it get to a point where all these connected cams offer at least 1-2 hours worth of recording for free. I believe Netgear offers a basic cloud service for free for their security cameras. But they are the exception. I think the Ring is excellent for monitoring the exterior of the home. For the ease of installation, use, recording, reviewing and monitoring your home while away from home, the Ring is great.